Wonderful experience ! Location , service ,food, staff, amenities were great ! The hotel location and the staff servicing in all the restuarants. The variety of things you can do inside the hotel. Very near to the ski area. Staff is very friendly and courteous. Our stay, though short, was perfect. Grace was just great and very welcoming, she upgraded our double room to a studio suite with slopes view for no extra fee..the staff was friendly and hospital. Anthony gave a great service at the tanning area..the pool indoors was so soothing and clean..the over all experience was just relaxing and chilling..would definitely recommend it and try it again in winter for ski! InterContinental Mzaar Lebanon Mountain Resort & Spa This rating is a reflection of how the property compares to the industry standard when it comes to price, facilities and services available. It's based on a self-evaluation by the property. Use this rating to help choose your stay! Nestled amid the peaks of Mount Lebanon, this luxury resort and spa offers year-round recreation. Ski direct from the resort with access to an 50 mi trail or enjoy a variety of activities including climbing, hiking, biking and rafting. This resort features a heated indoor pool, cinema and one of Lebanon’s leading spas. 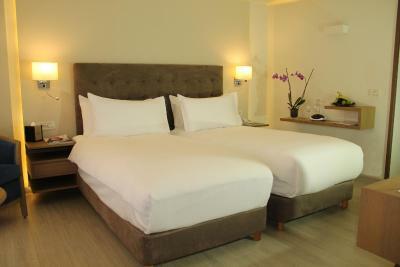 All rooms are elegant, light and airy with king, Queen or Twin beds. 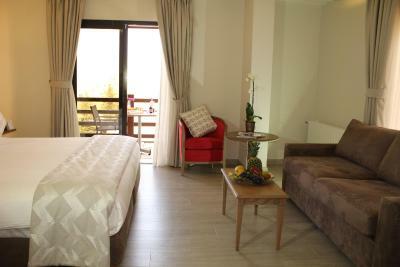 All rooms capture the natural beauty of the area, most with private balconies. Some look out on the ski sloped, others over the private gardens, with open and spectacular views. 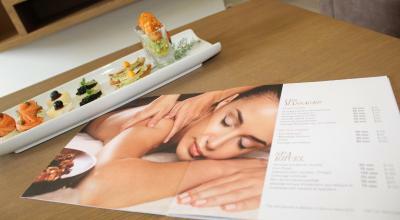 InterContinental Mzaar offers 6 food and beverage outlets, ranging from casual to fine dining. Le Airelles serves a breakfast buffet as well as lunch and dinner buffets, while El Hor Tent serves traditional mountain cuisine. The InterContinental Mzaar is equipped with a team of winter sports professionals, ski schools and snow-grooming gears for the steepest slopes, to secure a fun skiing adventure. Red Cross qualified patrolmen and medically-equipped rescue ambulances are on guard to secure a safe winter holiday. 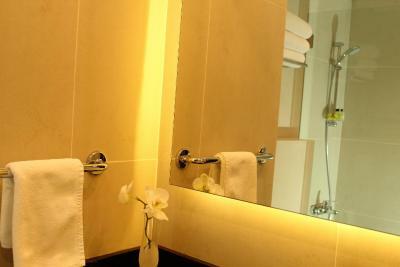 The hotel has a wonderful pool, game rooms, sauna and spa with many added extra pampering services available. Discover the region and local culture by going on winery trips, by shopping homegrown goods in nearby villages, or go on a traditional picnic on the peaks. For adventure and extreme sports, enjoy camping trips, cave tours or a trip to the mountain. 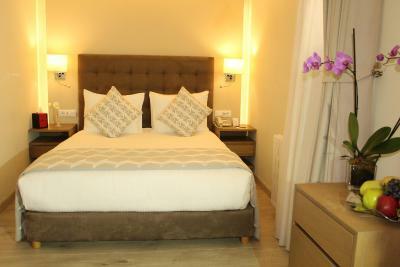 The hotel is less than an hour's drive from Beirut International Airport. 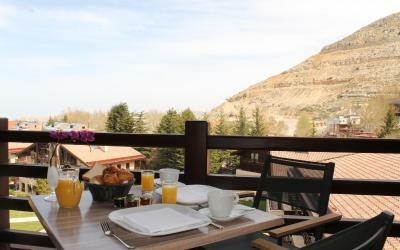 When would you like to stay at InterContinental Mzaar Lebanon Mountain Resort & Spa? Located either in the west or north wing of the hotel, this 30 sqm, air-conditioned room offers a pool roof or limited mountain view with a TV, mini-bar and a private bathroom. Private parking is available on site (reservation is not needed) and costs USD 13.35 per day. Located in the north wing of the hotel, this 25 sqm, air-conditioned room offers a mountain or road view with a TV, mini-bar and a private bathroom. Located either in the main building or the west wing of the hotel, this 40 sqm, air-conditioned suite offers a seating corner with a pool roof or mountain view with a TV, mini-bar and a private bathroom. Located in the main building on the 3rd floor, the Junior Suite consists of 1 bedroom, 1 living room and 1 bathroom with a spa bath. It overlooks either the swimming pool or the mountain. 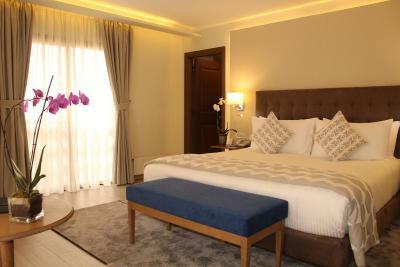 Located in the west wing, this air-conditioned room comes with a private bathroom. It features a TV and a mini-bar. This air-conditioned studio comes with a private bathroom. It features a TV and a mini-bar. 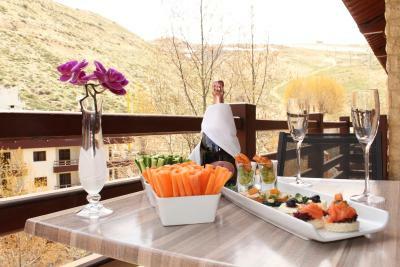 House Rules InterContinental Mzaar Lebanon Mountain Resort & Spa takes special requests – add in the next step! InterContinental Mzaar Lebanon Mountain Resort &amp; Spa accepts these cards and reserves the right to temporarily hold an amount prior to arrival. InterContinental Mzaar Lebanon Mountain Resort & Spa accepts these cards and reserves the right to temporarily hold an amount prior to arrival. most of advertised facilities not available, mostly advertising gimmicks. even the restaurants and eateries were closed except one. In the end, it was basically a hotel with a restaurant and a bar. Fair enough, but we would have chosen others with superior quality and comfort for the same price as initially we thought it worthy due to the variety of food, activities and entertainment...unfortunately not found. Perhaps the hotel should specify seasons of facilities/restaurants' availability. good bedding, clean, direct access to slopes and ski rental. Food at Le Refuge restaurant was good. the staff was not cooperative even the manger. The price booked at was exxagerated as compared to what should be. It didnt include breakfast while all of our friends had breakfast included with a better rate. I asked for 5 people in 2 rooms and still they charged me extra bed and for 2 nights without even informing me during check in. The lobby is small to accomodate people in the hotel and there is no other place to sit and socialize. Honestly i didnt like what happened to me. Had to pay a lot for parking my car at the hotel. Usually this service should be free for hotel residents. The staff was very pleasant and helpful. Nice and easy atmosphere all over the hotel. The pictures for the rooms are not accurate i booked a suite i got a random room and answer was this is the same as what you booked And pictures on booking and the attached can prove it for a suite No support from staff properly on the venue and what can be done in the area or even on inquiries. Very expensive for a random room in the hotel. Not clean the towels had make up on them Nothing to do in the hotel or around on a weekday! Accommodation poor! Dining very poor! Very old hotel! Overpriced as compared to similar properties. The coffee thru out the hotel was horrible.